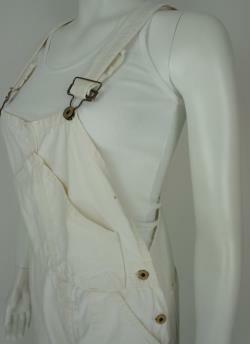 This is an original pair of 1940's or 50's work overalls in good condition. 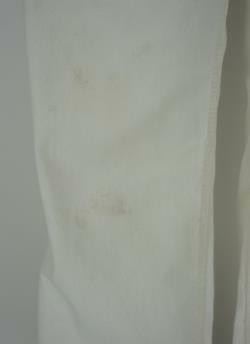 Awesome lightweight white denim fabric that is perfectly worn in and soft and comfortable. Chigao stamped donut hole buttons and hardware. 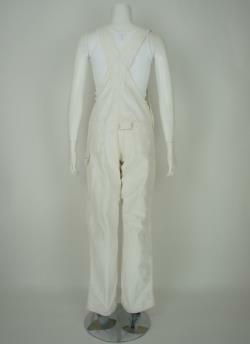 Perfect painter or carpenter pants with no holes. There are some light marks on the front legs but they blend into the fabric and are hard to see. 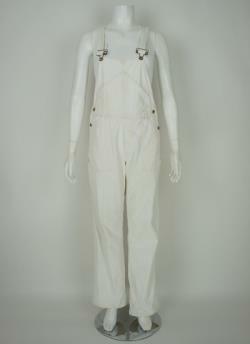 Small size overalls that can be worn unisex. 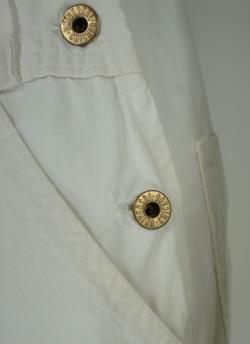 There is no size label, the measurements are. Waist, laid flat: 15 inches. Base of brace to crotch on the back: 22 inches.